Goff Mill Brook Estates is a community of 17 one bedroom rental properties located just minutes from Route One, in Arundel, Maine. Situated in a pastoral setting with a pleasant mix of open space and woodland, Goff Mill combines convenience with a peaceful backdrop. 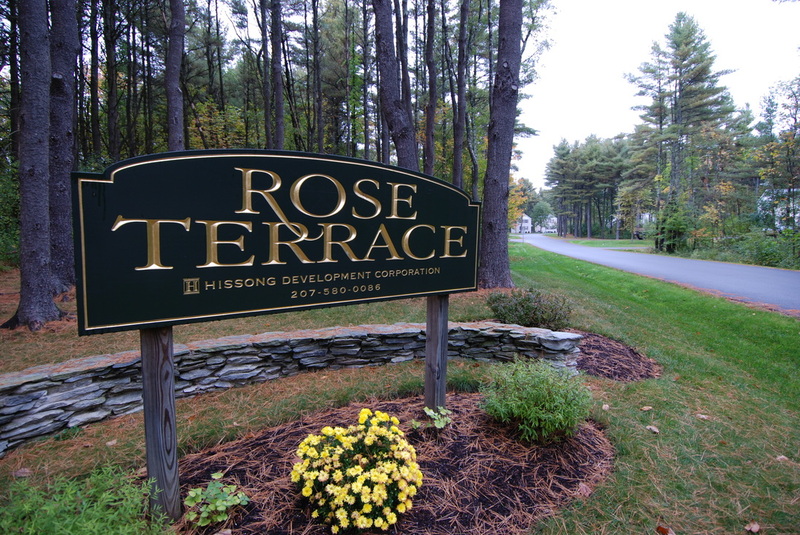 Rose Terrace is a neighborhood of 23 two bedroom townhouses located near Route One in Arundel, Maine. With easy access to Route One and I-95, shopping and area amenities, Rose Terrace is an ideal setting for those looking for an affordable temporary or long term rental in the Kennebunk area. Hissong Properties strives to provide quality, comfortable, energy efficient and pet-friendly rentals that residents can truly call their home. In addition to our developments at Rose Terrace and Goff Mill Brook, we have several single family homes available for rent in the Southern Maine area.